A carbide sizer die sizes the cartridge while it is being crimped. The adjusting screw quickly and easily sets the desired amount of crimp. Revolver dies roll crimp. 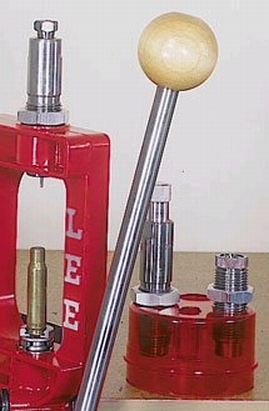 A perfect taper crimp is applied to autoloader rounds.